The Brazilian spoke highly of his former manager, who left the club following three consecutive Champions League titles. 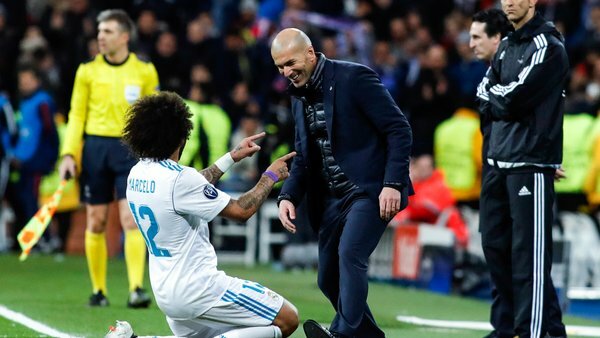 Marcelo says he “gave everything” for Zinedine Zidane, who he says got the best out of him during his time at Real Madrid. The Brazilian won three Champions League titles under the French manager, who departed the club this past summer. Zidane remains unemployed at the moment, while his successor, Julen Lopetegui, was dismissed shortly after taking the job and replaced by Santiago Solari. Marcelo has found more competition than in years past with the rise of Sergio Reguilon. The defender hailed the contributions made by former manager Zidane, though, a boss that got him to work as hard as he possiby could. Marcelo also discussed the departure of Cristiano Ronaldo, one of his closer friends during his time in Madrid. The defender was among the first to be made aware of the Portuguese star’s departure, but its not the only exit that has impacted him this season.